A CPD article improved Rose Gallacher’s knowledge of the role of obesity in the onset of type 2 diabetes mellitus. The article discussed the factors that increase a person’s risk of developing type 2 diabetes mellitus, particularly obesity. It also outlined the lifestyle changes that can reduce a person’s risk of diabetes. I was interested to learn that 3.3 million people in the UK are estimated to have diabetes and that this figure is expected to rise. Diabetes is associated with significant costs for healthcare organisations, with £13.8 billion spent on its treatment each year in the UK. Reading the article has improved my understanding of the non-modifiable and modifiable risk factors for the development of type 2 diabetes. 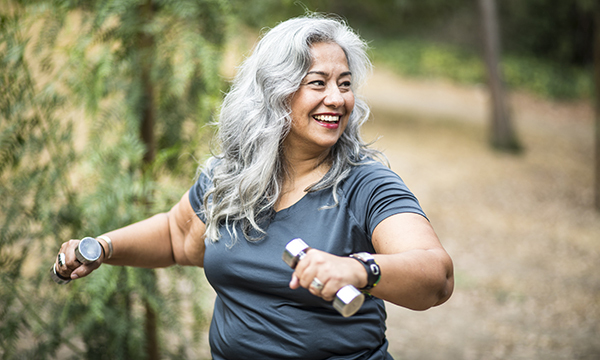 I learned that non-modifiable risk factors include age, cultural background and family history, while modifiable risk factors include obesity, hypertension, smoking and a lack of physical activity. The article emphasised that obesity is the risk factor most strongly associated with type 2 diabetes, and the authors advocated weight loss, healthy eating and increased physical activity to reduce this risk. After reading the article, I reflected on the importance of health education programmes that are focused on the prevention of type 2 diabetes. Education programmes can also support people diagnosed with diabetes to self-manage their condition effectively. In my practice, I will ensure that appropriate information and resources on diabetes are readily available, and that any education programmes or material meet people’s cultural, linguistic, cognitive and health literacy needs. In accordance with the dietary advice provided in the article, I will recommend that individuals at risk of diabetes consume a balanced diet that is low in fat, sugar and salt, and contains a high level of fresh fruit and vegetables. I will also suggest that they engage in moderate physical activity that increases cardiovascular fitness and stamina at least three times per week, for a total of at least 150 minutes. The Code indicates that nurses must focus on promoting well-being and preventing ill health. The article stated that the promotion of a healthy lifestyle, particularly weight loss and increased physical activity, is crucial to reduce the potential for insulin resistance and thus the development of type 2 diabetes. The Code states that nurses should act in partnership with those receiving care, supporting them to access relevant information and support where necessary. The article encouraged nurses to provide education and support about diabetes, including its prevention and management. This reflective account is based on NS878 Cloete L, Mitchell B, Morton D (2017) The role of obesity in the onset of type 2 diabetes mellitus. Nursing Standard. 31, 22, 59-69.